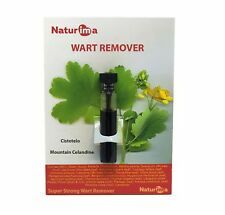 Strong Wart Remover HPV Genital Removal Papilloma gel 5ml. Lubricate healthy skin around problem areas with Vaseline or cream.Especially if you are treating genital warts - do it with extra caution! Do not use too much gel, avoid healthy skin, make sure you protect it with vaseline, as this gel is strong solution and it might burn your skin! 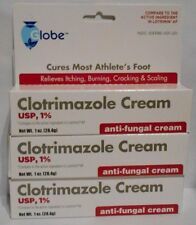 Clotrimazole 1% Antifungal - Anti-itch. How to use: Apply the balsam using a plastic stick (the end of the stick must be smaller than the size of the skin defect to be treated). The balsam breaks the cells of papillomas and warts and transforms them into simple sores as well as destroys the agents, which cause these defects. 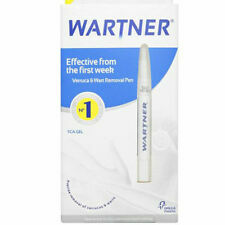 Wartner Wart And Verruca Removal Pen 1.5 Ml Fast And Effective -Fast Dispatch. The pen applicator contains a highly concentrated wart and verruca removal gel. The TCA gel eliminates warts and Verruca’s by topical chemical eradication action. The gel induces peeling of the keratoic tissue of the wart (or verruca) and allows the destruction of the causative virus. Using Nailner Breathable nail polish will not lock up the fungal infection, resulting in the best possible conditions for Nailner solution to treat the nail. Nailner Treat & Colour is proven effective solution against nail fungus infection. 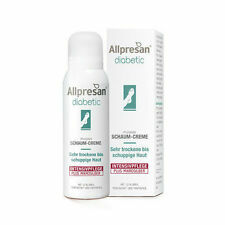 Apply only for skin care with excessive cornification (warts, papillomas, dry calluses). 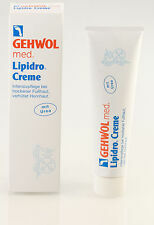 Contains alumokalievy alum, which cauterizes, drying, anti-inflammatory and healing effect. Celestial - elixir is a liquid for external use. • Effective in Hallux Valgus and Bunion Pain. It is designed for Bunion Corrector Bunion relief.One size fits most feet. • The Bunion Splint has a soft and adjustable strap to adjust to your feet. Item type:Bunion Corrector. Protecteurs en Gel de Silicone Hallux Valgus. Vendus par paire (2 doigts). Action: Clotrimazolum cream 20g, available without a prescription, has antimicrobial properties, effectively treating skin surface mycoses. It eliminates the feeling of pruritus and burning of intimate parts. Excilor âgit selon 3 principes Utilisez le pinceau pour couvrir toute la surface de l’ongle et le dessous du bord de l’ongle avec Excilor. Nettoyez bien l’ongle et éliminez toutes traces éventuelles de vernis à ongles avant d’appliquer Excilor. Remove a corn cap from the backing paper and position the felt ring over the corn. 5x Corn Removal Plaster. Felt pad relieves pressure. The removal of hard corns. Ball of the foot pads for only £1.80! Fabric Content: 95% Cotton, 5% Spandex. · For dry and cracked skin and feet heels. Buy 2, Get 1 for FREE Promo until 28th Feb! Protecteurs en Gel de Silicone Hallux Valgus. Évite les frictions. Sépare et protège de la chaussure. Séparateur Redresseur Protecteur. Die Pilzinfektion kann nicht nur die Oberfläche der Haut betrifft. In unbehandelten Fällen geschieht die Mykose der Nägel häufig die Folge des Fußpilzes. Reinige deine Haut sanft, reibe sie mit einem Handtuch oder einem Tuch trocken. The balsam breaks the cells of papillomas and warts and transforms them into simple sores as well as destroys the agents, which cause these defects. How to use: Apply the balsam using a plastic stick (the end of the stick must be smaller than the size of the skin defect to be treated). Full prescription strength Lamisil AT Cream soothes dry. QTY.3 unit (30g 30g 15g). Used for: Relieve bunion pain and prevent the bunion from worsening. 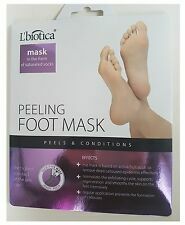 L'Biotica, exfoliating MASK FOR FEET, soaking socks 40ML. L'BIOTICA, MASKA ZŁUSZCZAJĄCA DO STÓP, NASĄCZANA SKARPETA, 40ML. Chamomile extract gently soothes freshly peeling and renewed skin. Scrub exfoliating mask in the form of socks filled with active fluid. Feature: Convenient to carry. Soft and Comfortable. Designed for people who suffer from the hallux valgus. Relieve pain from bent toes, overlapping toes and hallux valgus. Specification: 100% brand new and high quality Color；White&Blue Material:Silicone&Nylon Length:4.52"(11.5cm) Toe Height:1.18"(3cm) Strap Length:10.43"(26. Remove Hard Dead Old Skin Callus, Corns, Cracks, also Kills Bad Odour Bacteria. 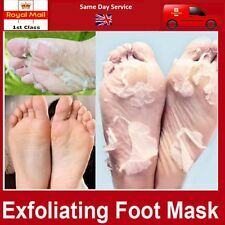 Unisex Exfoliating Peel Foot Mask Socks. Remove the mask and rinse your feet with warm water. Remove the masks from the pouch and wear them as if you are wearing your socks. Conseils d'utilisation : Faites tremper vos pieds dans de l'eau chaude pendant quelque minutes puis séchez-les. Ouvrez le sachet et séparez les 2 chaussettes. Coupez le haut des chaussettes (environ 1cm sous le haut de la chaussette afin d'ouvrir les masques). Sourced directly from a UK pharmacy. 2 x ROLANJONA Milk Bamboo Feet Mask Baby Foot Peeling Mask. Item Type: Feet Mask. 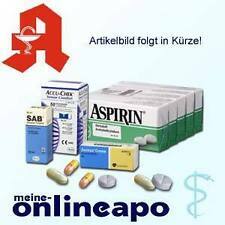 > This product is not intended to cure or diagnose diseases. 2X Pair Foot Masks. Health for skin. > Do not use the masks if you have active cut or wounds. WHAT IS FUNGI-NAIL® NAILNER®?. It is a clear liquid that is available in a “highlighter” applicator pen. Fungi-Nail® Nailner®’s proven effective formula has also been shown to reduce nail thickness . Orthèse Plantaire Hallux Valgus en Silicone. Conçu pour les personnes qui souffrent de l'hallux valgus. En silicone très souple pour le confort des pieds. Pratique à transporter. Mary Kay Foot set (balm & soak) 3 oz each. Condition is New. Shipped with USPS Parcel Select Ground. L’anti-fongique Onycosolve élimine les causes de croissance des mycoses. Répare à 98 % la peau abîmée et craquelée. Pro Orthese Redresseur Gros Orteil Pied. Corrige la déviation du gros orteil. Modèle bilatéral : pied droit ou pied gauche. Sous enveloppe à bulle.